Matthias Behr studied heating, ventilation, and climate engineering in Regenstauf. 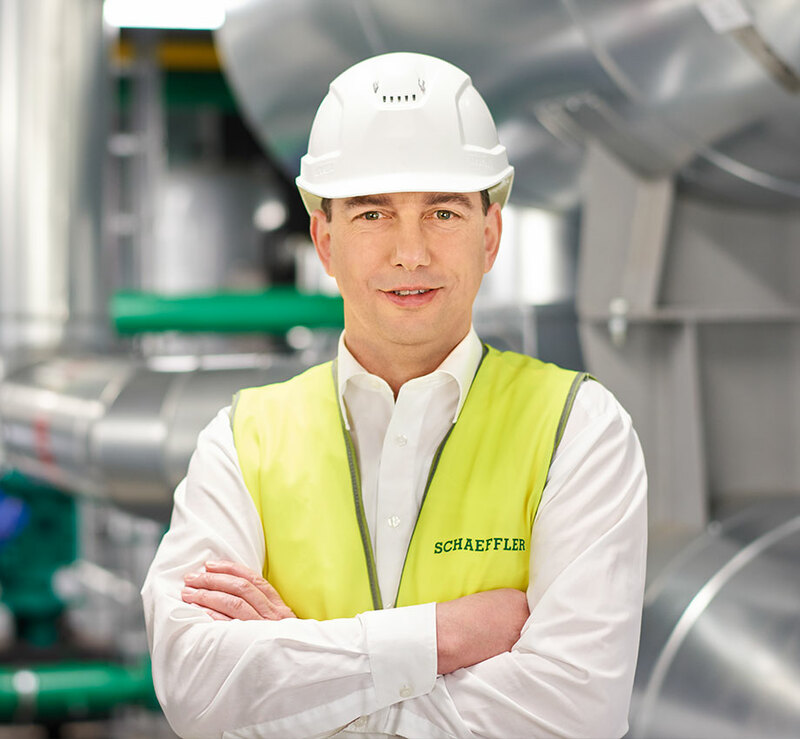 He has worked at Schaeffler since 2000, and since 2013, he has been Head of Supply Engineering (Building & Processes) in Corporate Construction, Energy Management & Maintenance in Herzogenaurach. 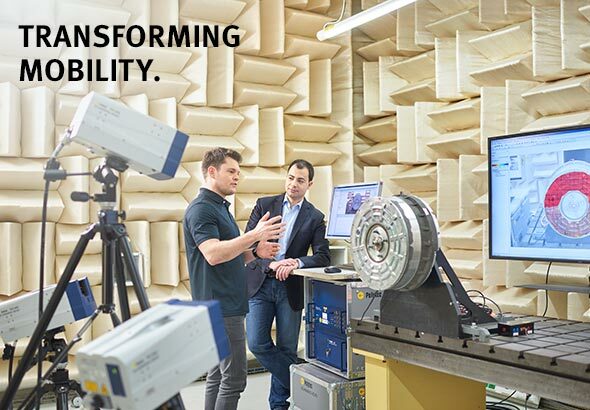 Our aspiration aims high: Schaeffler intends to continuously improve its own energy efficiency. This is a goal Matthias Behr is working toward. The engineer and his team have built a total of four cogeneration plants over the past two years at the production sites of Herzogenaurach and Homburg. The power plants are not only capable of producing electricity and heat but are also used for cooling. They are thus one of the most efficient ways of supplying Schaeffler sites with energy. 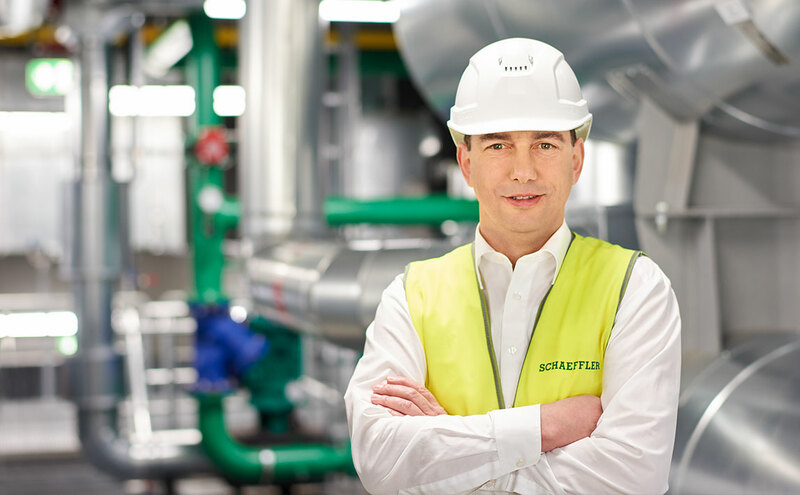 Matthias Behr has spent the last two years directing the construction of four cogeneration units (CHP) in Herzogenaurach and Homburg. Pretty fast – especially if you consider that no less than 8,300 meters of heat pipes and 5,600 meters of cold-water pipes for cooling had to be installed, and that the buildings being connected to the system had to be transitioned from steam supply to hot water supply. In order to supply the buildings in Herzogenaurach, these pipes carry as much as 155,000 liters of water an hour in the heating system and 459,000 liters of water an hour for cooling operations. That is approximately as much as 333 50-meter swimming pools. The new units are impressive even from the outside: a bright building with ten futuristic-looking reservoirs on one side. Inside, the buildings house state-of-the-art technology. “Thanks to their use for cooling, the units achieve an efficiency rate of more than 87%,” Matthias Behr reports. This high degree of efficiency confirms that the technology operates extremely efficiently in comparison to the conventional forms of generating power. This kind of modern and efficient energy supply is an important building block in Schaeffler’s climate strategy. 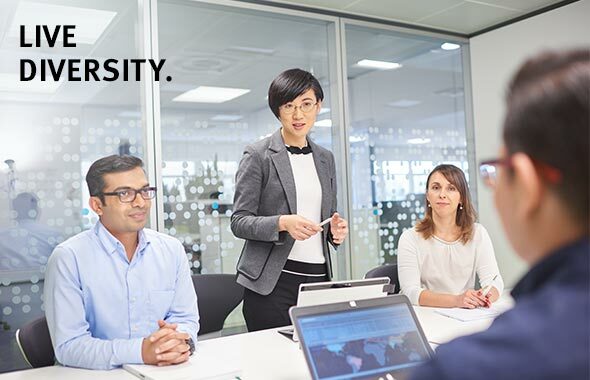 It’s obvious that large production sites use a lot of energy – which is why Schaeffler believes it has the responsibility as a global manufacturing company to find solutions for dealing with climate change. 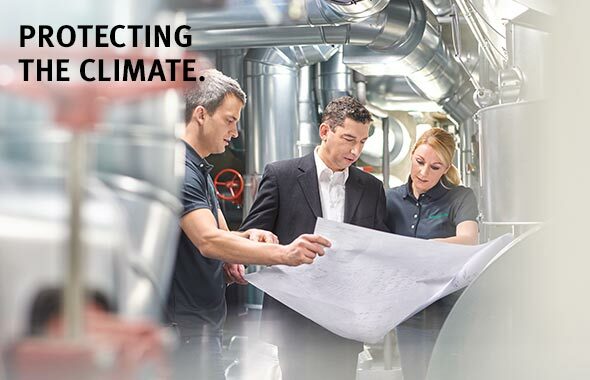 Yet the operation of cogeneration units is just one of many steps that Schaeffler is taking to reach the climate goal it has set for itself. By 2025, it intends to reduce its emissions by a total of 360,000 t of CO2 in comparison to the base year of 2015. 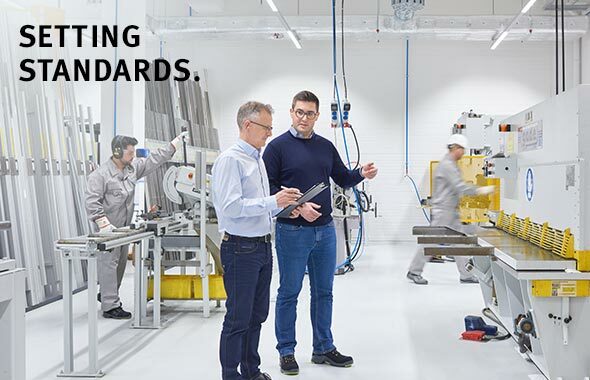 Other measures also contribute to reaching this goal – for example, the introduction of comprehensive energy management or the networking of machines by means of Industry 4.0 technology so that they work even more efficiently. Outside the CHP in Herzogenaurach, charging stations can provide electric vehicles with green energy from municipal sources.